Uploading an image (of prescribed size) for any job notifications or any online verification. While sending images as email attachments. While uploading or posting photos on Facebook, Google+ and other social media. Or while posting photos on forum or blog. When including pictures within Microsoft Word or pdf documents etc. This usually results in loss of quality where the enlarged image looks blurry and unprofessional. Recently one of our users asked us is it was possible to resize a small image and make it larger without losing quality. Now here we are with a new article, showing you how to resize images to make them larger without losing quality. Why Images Lose Quality When Enlarged? The bitmap is the most commonly used image format on the web. All your JPEG and PNG files are Bitmap image files. A bitmap image is made up of thousands of pixels. If you zoom in you can actually see those pixels as squares. Each of these pixels is mapped to a fixed location on the image, hence the name Bitmap. Most image editing software shrink or enlarge these pixels to resize an image. This is why when you resize an image to a smaller size there is no visible quality loss. Mainly because those pixels become even less visible. Here is how to use this method in most common image editing software. When it comes to image editing, Photoshop is perhaps the most popular software. As expected, it has an Image Resample feature that helps to enlarge images without noticeable quality loss, though Perfect Resize still gives better results. A brisk way to enlarge an image, though, is to resample it by gradual 10 percent increments. Here’s how to use the resampling feature in Photoshop. Download and install Adobe Photoshop on Windows or Mac. Open the image you want to enlarge using Photoshop. From the application menu, choose Image >> Image Resize. From the resampling options, choose Bicubic (Smoother). This method is a bit time consuming but produces smoother shifts from one color to another; hence giving a better output than most other resampling techniques. Click on OK to apply the enlargement. Perfect Resize is a software that allows you to resize your images smartly. It is available as a standalone software as well as a plugin for Adobe Photoshop. It can help you resize photos up to 10 times their original size, without any noticeable loss in quality. If you have the Photoshop Plugin installed, you can directly use it to launch Perfect Resize from within Photoshop. The following steps will guide you through the process of enlarging photos using the Photoshop plugin for Perfect Resize. 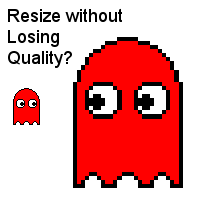 Download and install Perfect Resize. Launch Photoshop and open an image that you want to enlarge. Go to File >> Automate >> Perfect Resize. This will open the Perfect Resize application with the previously opened image. On the right side, you can choose from a Preset setting or manually enter the image size. Finally, go to File >> Save in Perfect Resize to save your changes. The enlarged photo will be saved to disk. Gimp is a free alternative to Adobe Photoshop. It also includes decent image resizing features that help you to enlarge photos with minimal quality loss, although results are not as good as Perfect Resize. The following steps will guide you to enlarge images in Gimp without considerable loss in quality. Open the image that you want to enlarge using Gimp. From the application menu, go to Image >> Scale Image. In the Scale Image window, click on the chain link icon to ensure image proportions are maintained. Enter the image width, the height value should automatically adjust according to the width value. Under the Quality section, choose the Interpolation value as Sinc (Lanczos3). Click on the Scale button. The enlarged image will be displayed now. To save the current image, go to File >> Export as and choose the appropriate location and format. The enlarged image will be saved to the disk. Note: For better results, try to increase the image size by gradual 10 percent increments until the optimum size is achieved. 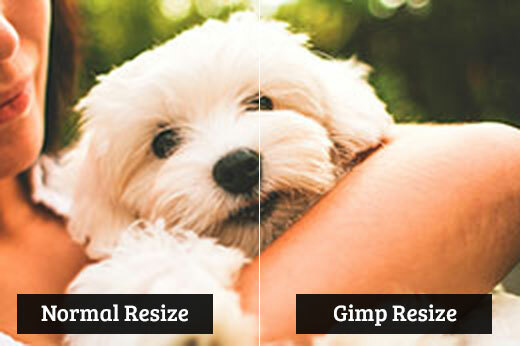 This is all about the image resizing and hope this article will help you to resize your images larger or smaller without using its original quality. If you have any queries regarding image resizing let us know in your comments below. Is there any option for Android and iPhone? we can also resize with paint app also.